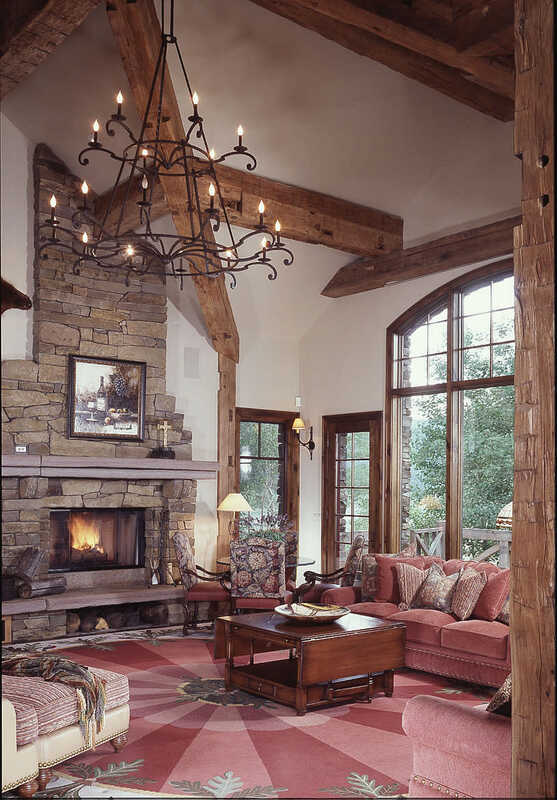 From rustic wooden mantels to towering stone hearths, today's post-and-beam homeowners have lots of fireplace design options. 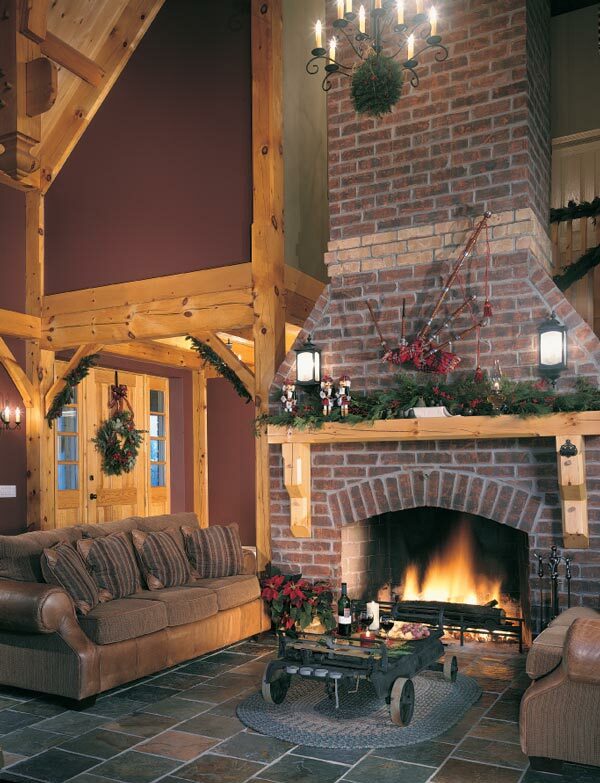 Check out some of our favorite timber-home fireplaces and hearths. 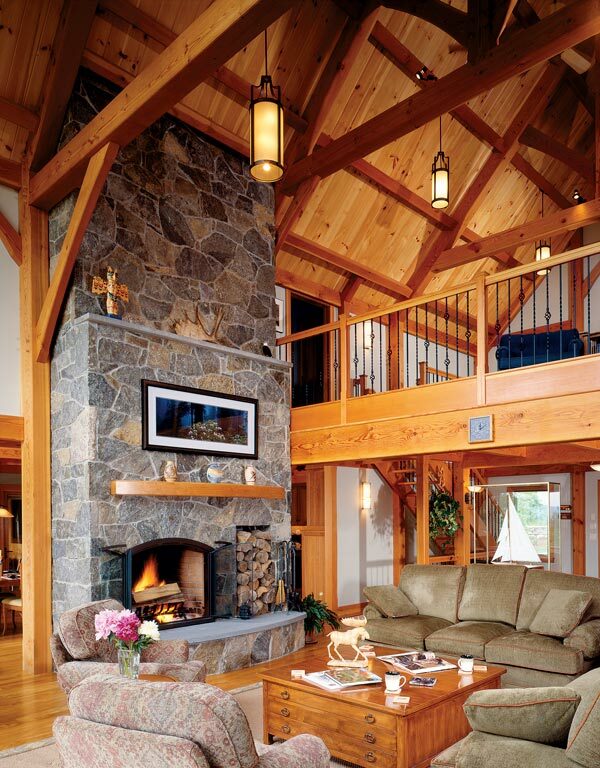 In timber homes, where post-and-beam construction makes load-bearing walls unnecessary, a centrally located fireplace, such as this stone hearth graced with a beautiful wood mantel, can help delineate space without blocking access from room to room. 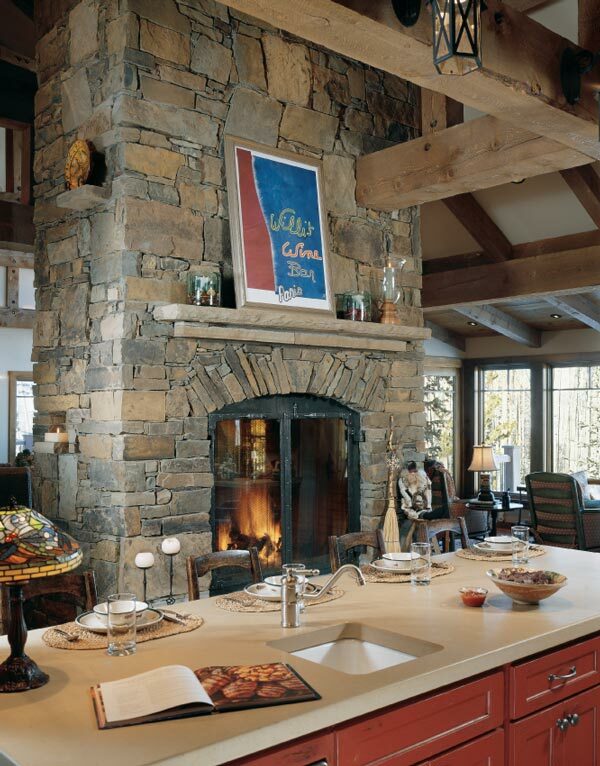 Photo: Rich Frutchey and Davis Frame Co.